The Arunachal Pradesh Governor BD Misra and Chief Minister Pema Khandu extends Chalo Loku festival greetings. The Governor of Arunachal Pradesh Brig. (Dr.) B.D. Mishra (Retd.) has extended his festival greetings to the people of the State, especially to Nocte brethren, who celebrate it with great fervour. He expressed his confidence that the socio-religious festival of the Nocte community will further help in showcasing the cultural mosaic of the State. In his message, the Governor said that the State of Arunachal Pradesh is the custodian and repository of diverse cultures, traditions and ethnicity. In a multilingual society, culture and tradition of each tribe are the true reflection of unity in diversity. Celebration of festivals, therefore, is the cultural necessity for the present generation. It is needed for preserving rich cultural heritage in original form and also to cushion it from erosions due to the fast pace of time. Preservation of heritage is also required to carry forward the vibrant and rich customs and traditions which our forebears have bequeathed to us, he said. On this festive occasion, I join my fellow Nocte people of Tirap district in offering our prayers to the Almighty Rang for socio-cultural and socio-economic well being, the Governor said in his message. Chief Minister Pema Khandu has extended his best wishes and greetings on the auspicious occasion of Chalo Loku, one of the most colorful festivals of Arunachal Pradesh celebrated annually by the Nocte community of the state. Greeting the people on the occasion, Khandu said the festival marks the end of one harvest season and beginning of a new one implicitly signifying the cycle of life. He joined members of the Nocte community in appeasing Almighty Rang for another season of bumper harvest and good health. 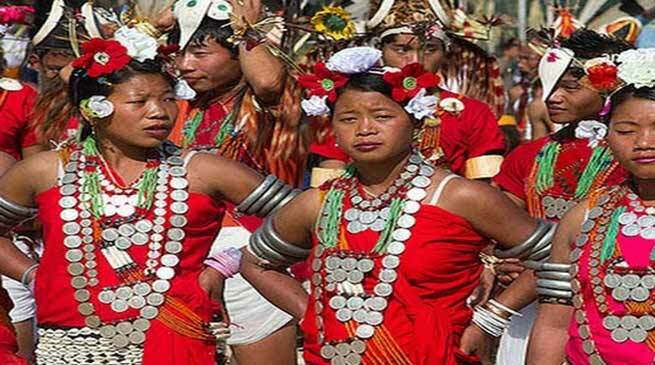 Lauding the Noctes for celebrating the festival every year with much fanfare, the Chief Minister underscored the importance of celebrating indigenous festivals with traditional fervor and mass participation. He pointed, while festivals keep one connected to his roots, celebrations pass on the rich cultural heritage of the ancestors to the next generation. “Our festivals are one important way to preserve our culture besides it gives a chance for visitors to witness of beliefs and way of life that we take much pride in,”Khandu added.